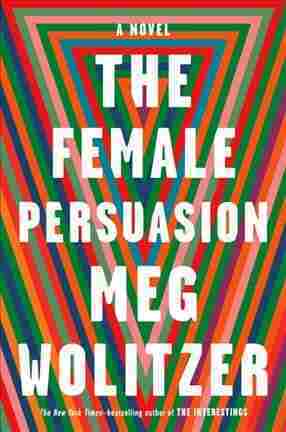 Meg Wolitzer Asks The Big Questions In 'The Female Persuasion' At the start of Meg Wolitzer's new novel, a young woman is groped at a fraternity party — and her question, "Why is it like this, and what are we supposed to do about it?" echoes through the book. At the beginning of Meg Wolitzer's The Female Persuasion, shy, bookish Greer Kadetsky is groped at a frat party. Her best friend, "innately, bracingly political" Zee, urges her to report it, but Greer feels sick at the thought. "The idea that something had been done to you seemed to implicate you, even though no one said it did, making your body — which usually lived in darkness beneath your clothing — suddenly live in light." But when other women are assaulted by the same man — Darren, with a baseball cap and "eyes like a carp" — Greer reports it, and then testifies in a university hearing. Nothing happens. Greer is still wounded and angry when the famous, charismatic feminist Faith Frank comes to speak on campus. Faith, 63 and sometimes called "a couple steps down from Gloria Steinem," is an editor of Bloomer, "the scrappier, less famous little sister to Ms." Watching Faith Frank's "glamour and importance and gravitas" as she speaks about what women can do to help themselves and each other, Greer feels something "closely related to falling in love." It wasn't romantic, but "the word love still seemed relevant here; love, which pollinated the air around Faith Frank." When the time comes for questions, Greer, "hot-faced and tiny-voiced," tells Faith about her assault. She asks, "What are we supposed to do? ... About the way it is. ...The way it feels. Things like misogyny, which seems to be everywhere, kind of wallpapering the world, you know what I mean?" I loved this moment because of how clearly you can hear her self-consciousness fighting with her intelligence. Listen to the slightly uneasy use of "misogyny," in its awkward italics, as if Greer is only just in that moment understanding that such a formal, academic word could apply to her own experience. She is finding, haltingly, the same question young women have always asked older women: Why is it like this and what are we supposed to do about it? Faith's answer is cut short, but in the bathroom after, she gives Greer her card, and, years later, a job with her foundation. Meeting Faith Frank, Greer thinks, "was the thrilling beginning of everything." The Female Persuasion is a wonderfully solid book, luxuriously long and varied in an almost 19th century kind of way. Through four central characters, it asks how women (and the men they love) should navigate their lives, around the barrier of misogyny but also many other things: family, ambition and death, the disillusionment of growing older and finding your mentors are flawed, but staying grateful for their help. 'The Female Persuasion' is a wonderfully solid book, luxuriously long and varied in an almost 19th century kind of way. These are large questions, but Wolitzer is also topically and seasonably witty on things like corporate feminism (the feminist anthem of Greer's college days, "The Strong Ones," gets turned into a paper towel ad). She also speaks to very particular intergenerational resentments: that younger women are whiny, entitled and don't know that they have it easier because of what older women suffered; that older women are clueless, racist, passé, embarrassing to the cause of the young. The Female Persuasion unpicks these tensions but doesn't indulge them, preferring to show feminism as an ecosystem rather than an arrow. Wolitzer's writing style is plain but heightened, both elegant and unlabored: See androgynous Zee, wearing skirts to please her parents and feeling "nearly deranged with falseness, as though the clothes would at any moment fall away from her in an act of gender deciduousness ..." Wolitzer can, however, be tone-deaf about how young people act and speak: They play "Pin the Tail on the Donkey" at a frat party and hire a rapper called "Li'l Nuzzle" for an event ("I guess Big Nuzzle wasn't available," says Greer, daddishly). But who cares whether she nails the exact cadences of teenage speech if she can evoke so achingly that mixture of certainty and cluelessness, desire and ineptitude, that comes with being a young person? The big throbbing unanswered question that begins the book: "What are we supposed to do?" is answered in different ways by Greer, Zee, Faith and the other women of this novel. But they all come, easily or uneasily, haltingly or bravely, to at least one conclusion: You have to do something, even if it's just, as one character says, managing to "live your life and be yourself with all your values intact."